This has been a labour of love for the past year or more. I remember starting it at New Years 2017, and waffling about my plans before settling into this particular pattern. Sometimes these large projects are 20% hard work and 80% a leap of faith that they are going to work out in the end! Or at least, that’s how it feels to me! I knew I didn’t want a white blanket hanging around on the couches or beds due to the dogs. The amount of dirt and dust that is tracked in gets a bit out of hand, particularly in the Spring. The hair alone is enough to send me to the Funny Farm sometimes – it’s hard to stay on top of it and sometimes, I just throw in the towel and give up trying to vacuum it at all! The idea for this blanket came from an idea on Instagram. 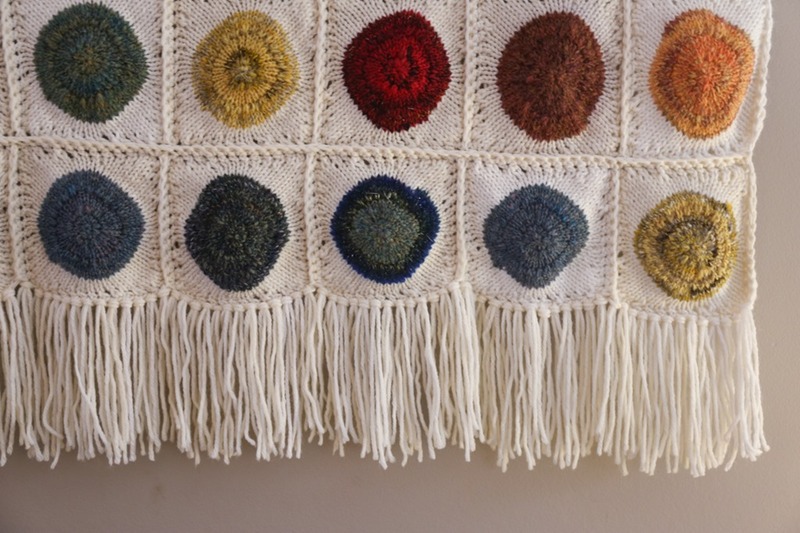 There’ve been an increasing number of weavers posting about their tapestry weavings, which many sell. I would love to delve into that world one day but in the meantime, I am definitely more focused on my spinning and knitting. 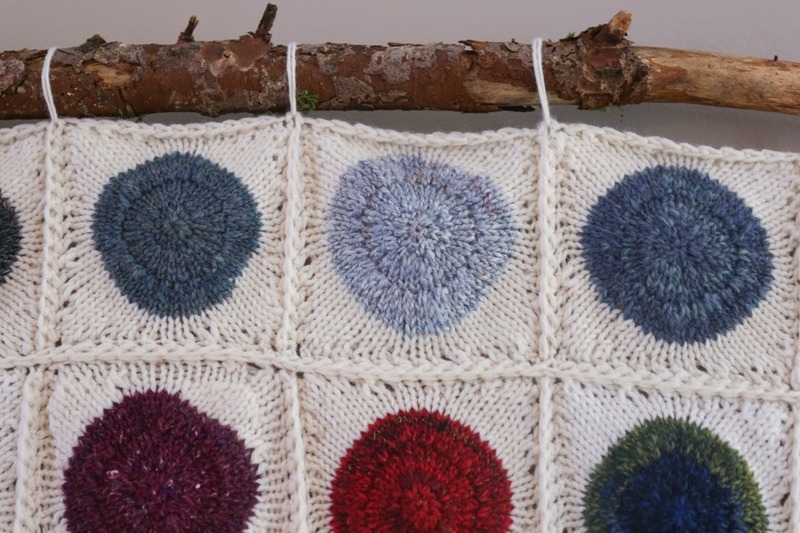 In the end, I began making the squares and blocking them as I went, hoping that the colours would work out in the end. 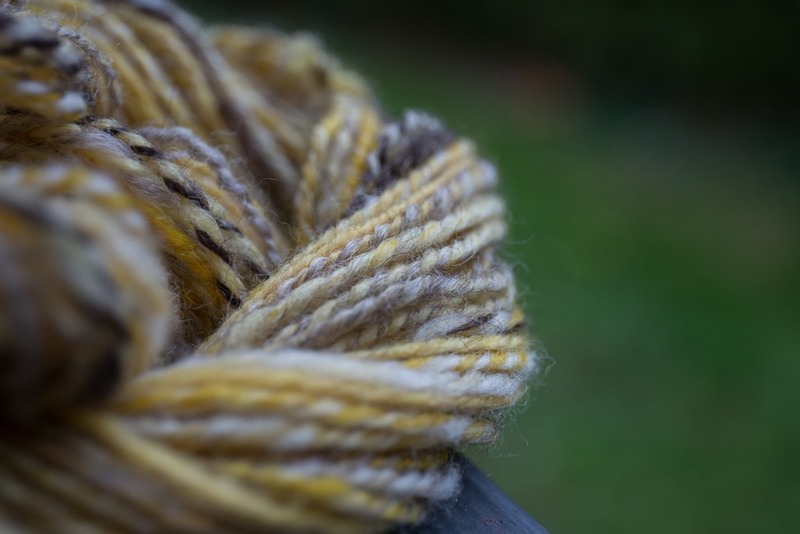 I love the texture of the handspun centres but the cream-white of the background that grounds it all. There are a few things I would do differently next time, which I will list below, but the overall effect is quite something. 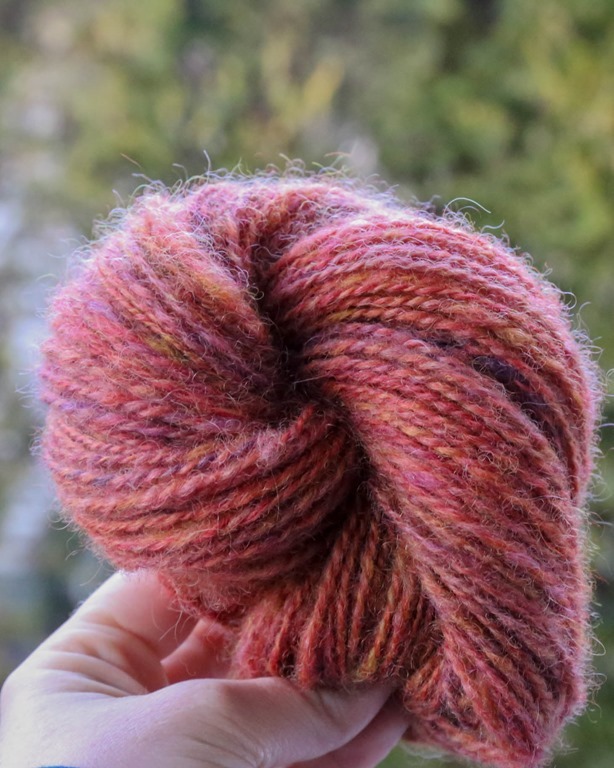 I took out several squares I had made out of some neon orange handspun that were just too bright and I added the red ones instead. 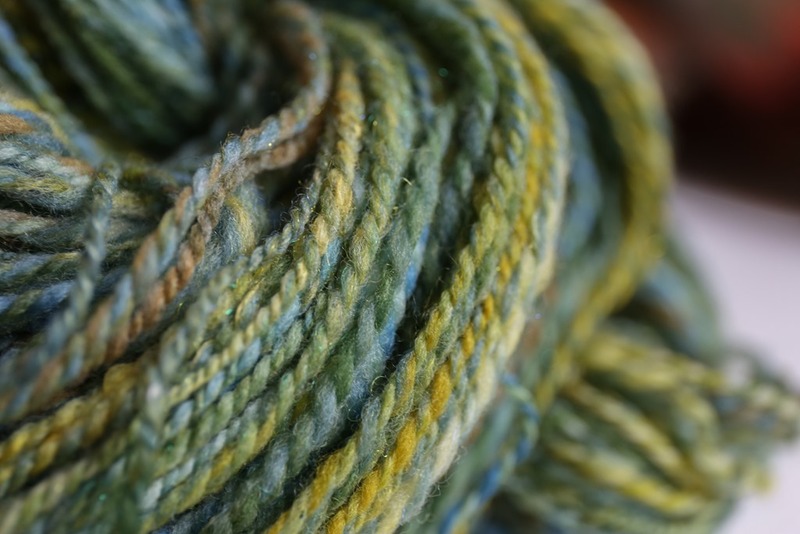 Many of these yarns were from the Wool n’ Spinning Fibre Club that I had done back in the 2016-2017. It was short lived for a variety of reasons but regardless, I’m happy to have been able to showcase many of those yarns. 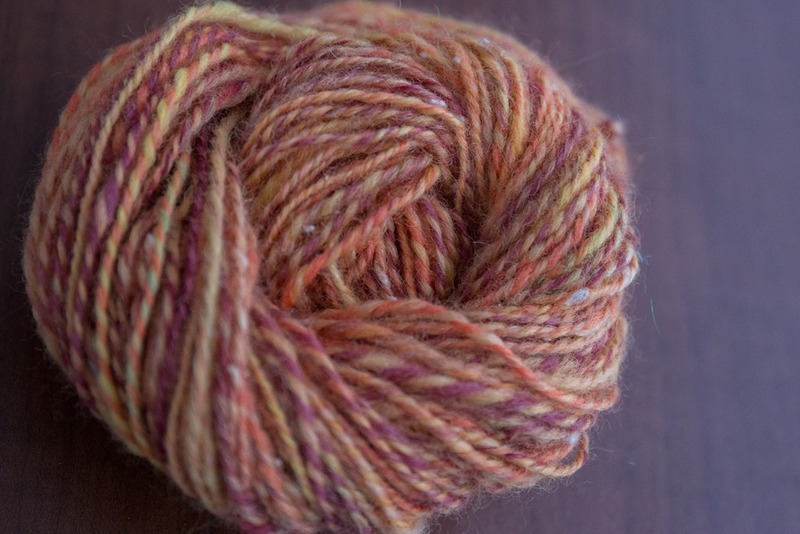 They were all mostly spun as sport weight default yarns so they worked surprisingly well due to their similar gauge. 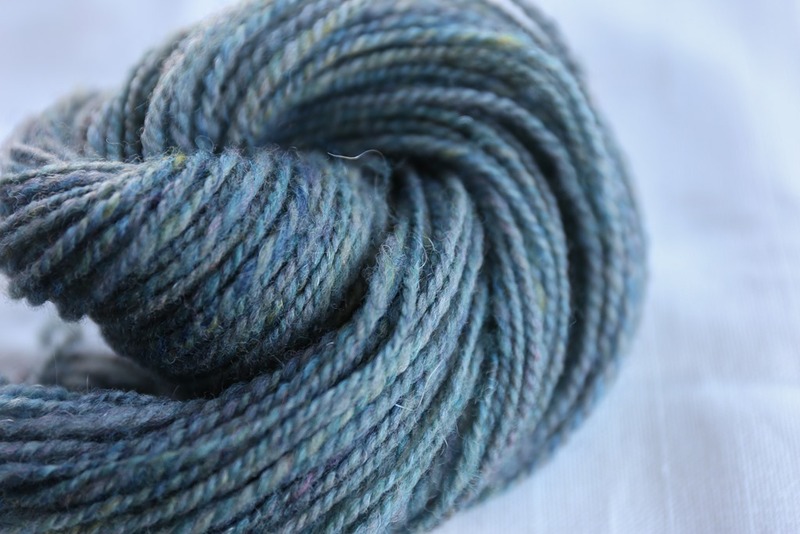 All were 2-ply yarns. 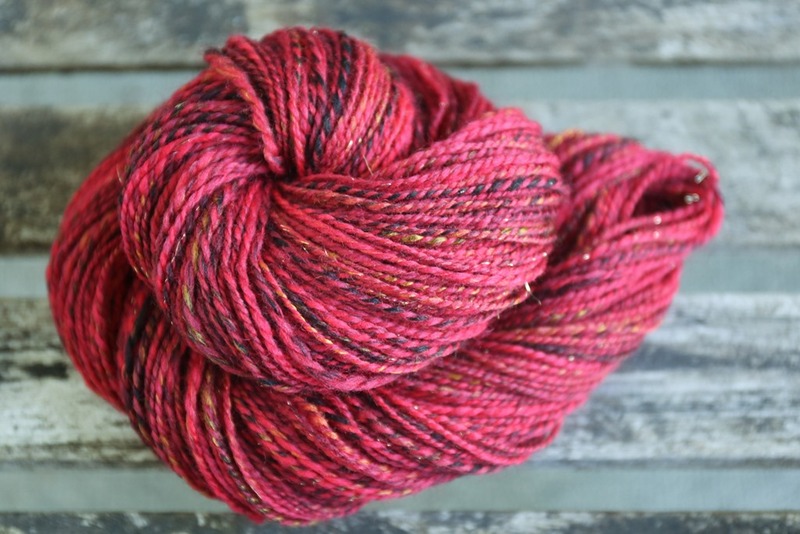 There are a couple more yarns that I never added to my project pages like the red which was a club colourway in sweet rolls as she calls them from The Wooly Witch called The China Road. 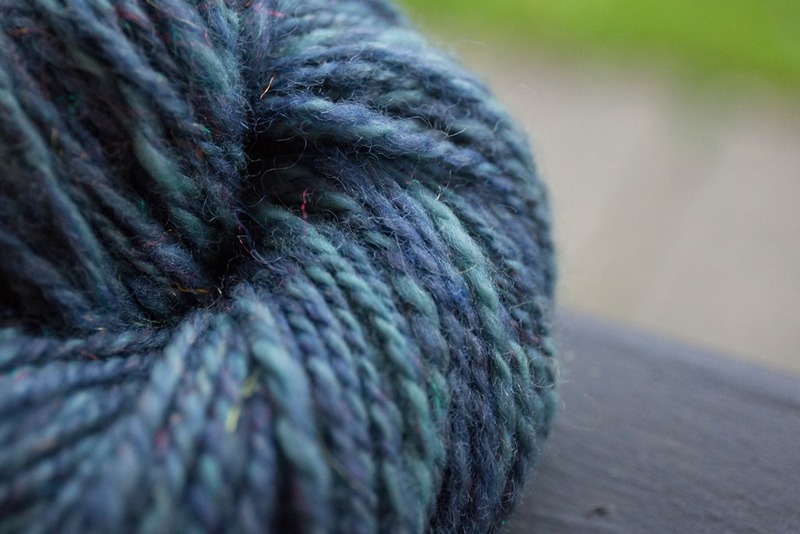 Also, I included a hand-carded green that was my first carded yarn that I made with my friend Diana. Overall, the colours are reminiscent of a rainbow but because I didn’t order them that way, they have a certain flow to them that creates movement and depth. I like the lighter, brighter colours, as well as the darker, moody tones. It’s a nice mix that is interesting to look at – I’ve noticed in the week that it’s been on the wall that the kids stare at it quite a bit, which is a win in my book! I chose to add a fringe to balance the weight of the ‘stick’ (ie. branch). It also added a little bit of actual weight to the hanging to keep it straight. I haven’t trimmed it with my rotary cutter yet because I’m deciding if I like the slight unevenness or want it to look ‘cleaner’. I’ll make a decision soon but in the meantime, it’s hanging. For securement to the branch, I looped 2 strands of yarn around the branch and tied it in the back. 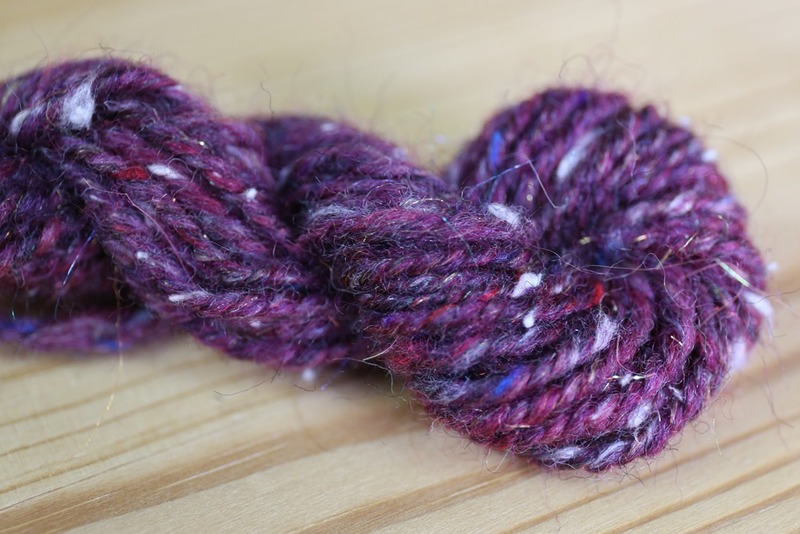 I’m not sure this will be enough long term or if I’ll have to reinforce it with more durable yarn or string. I’m wondering if a heavier duty rope would be better – or adding more tie points along the top. I’m wondering if it’ll eventually need 4 per square instead of 2. Time will tell. In the meantime, it’s hanging nicely and there’ve been no mishaps yet. But it’s only been a week. Lastly, because Mother Nature does not grow her branches straight, I decided not to tie this on completely straight. I wanted a more organic feel instead. A piece of doweling would have done the trick to keep it perfectly straight but then the effect would have been significantly different. Some of the ties ended up having to be slightly longer or shorter depending on the branch. The branch itself is over 56 inches long. 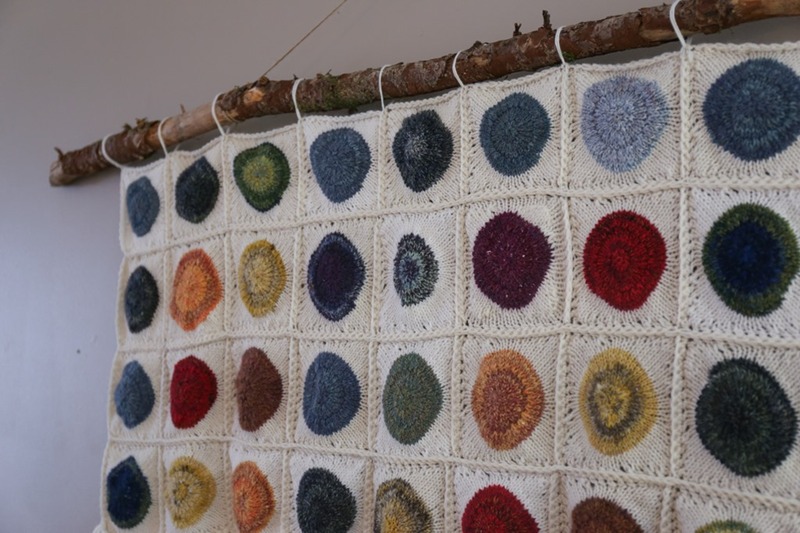 The finished measurements of the piece (knitted blanket itself) is 28 inches X 56 inches. It’s quite substantial and takes up the length of a 3-seat couch. In the meantime, thank you for reading! Next Post Episode 94 Live: POP! What fun – and a great way to display your skills. I love how you used the branch! I like the uneven fringe. Keeps a more organic look to the piece. Lol, just thought I’d throw my two cents in! It’s finished!!! And sooo beautiful! 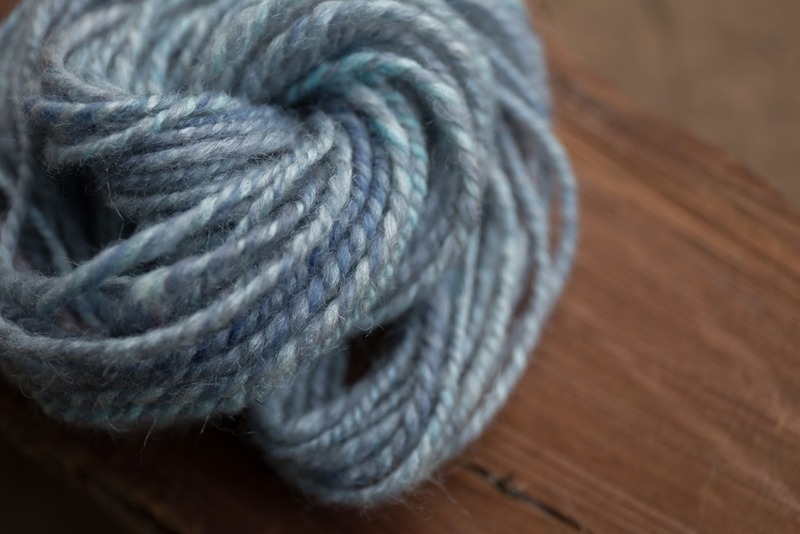 Well done, Rachel, on a true labor of love👏❤️ I am inspired to think of like-projects to showcase my handspun! Thank you! It’s finished! And sooo beautiful, Rachel! This was a true labor of love and you have inspired me to find some more projects for my homespun! 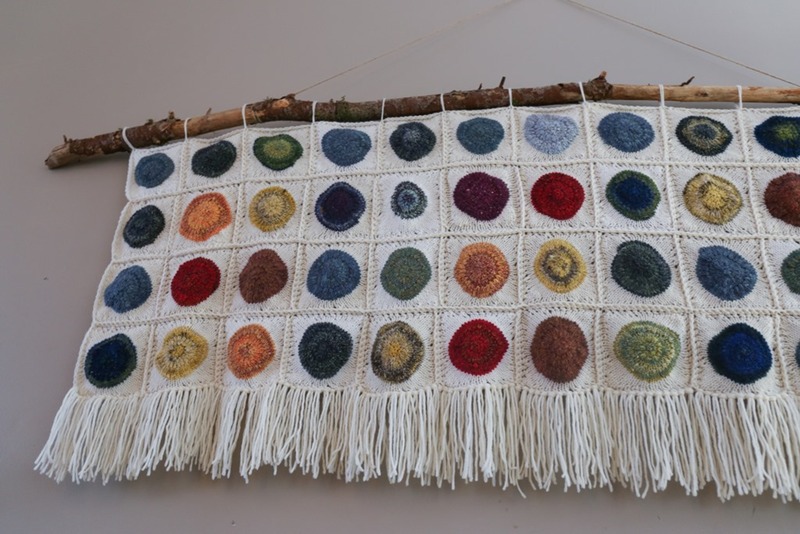 That is a really beautiful wall hanging, Rachel! 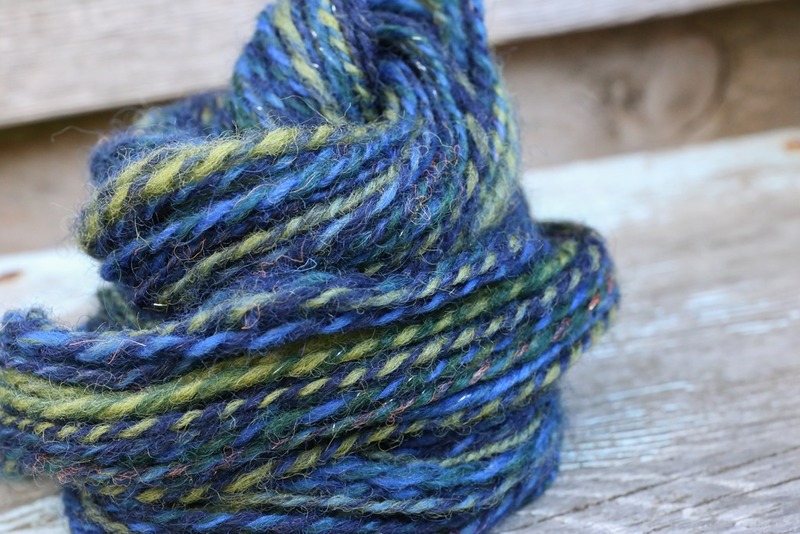 And a lovely way to showcase handspun yarns! Well done! What an achievement, Rachael. I wouldn’t take the rotary cutter to the bottom, at the very most maybe a snip or two with scissors but to me it is just fine as it is. Well done, what a lovely record of your hand spinning. 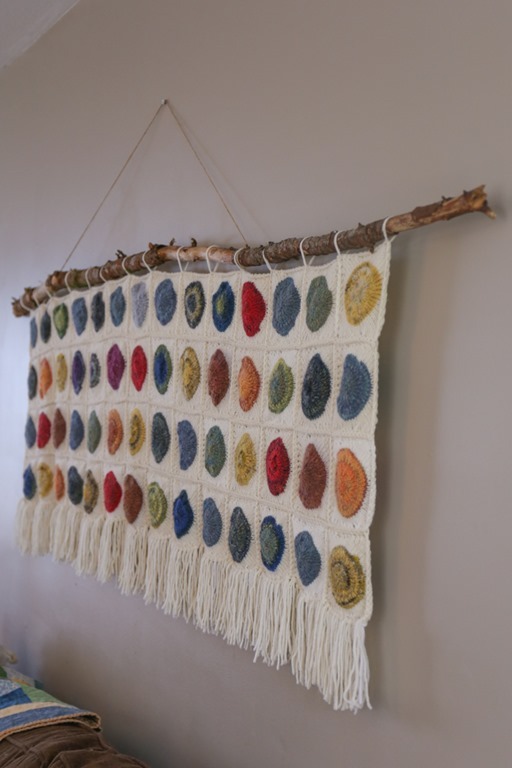 This is such an inspiration for crochet wall hangings! I’m thinking about all the possibilities. Just imagine what you could do! It also looks fantastic in the living room and I really love the natural tree branch idea. Rachel, this is stunning! I will blame you if I start on this endeavour. 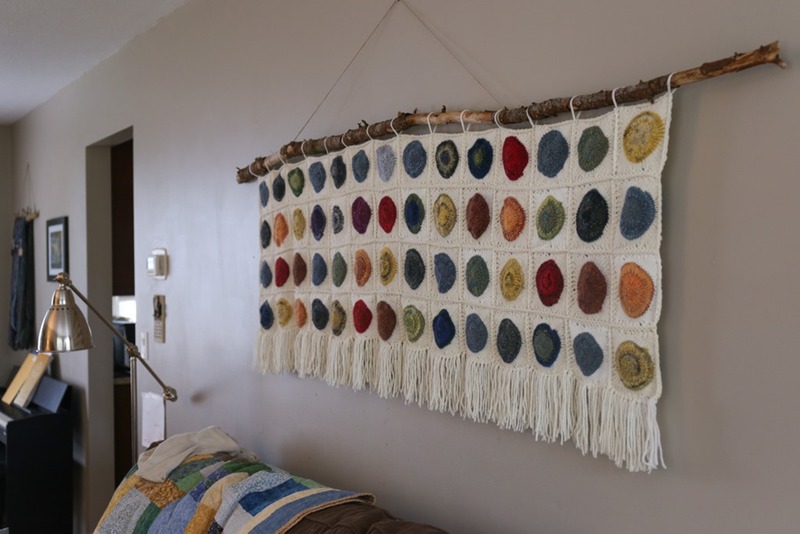 What a great idea to make a wall hanging. It’s gorgeous! Wow, this is really lovely. Thank you for describing your process. It’s beautiful! I turned my pop art into a more art mounted format a couple years ago. Love it get loads of compliments. Love your rustic mounting so cool! Thanks Cindy! That’s awesome that you did the same — it definitely lends itself to that for sure! !